The year 2013 introduced some very interesting projects in the maritime industry. Initial progress was seen in the research, concepts and development of advanced systems and technologies. 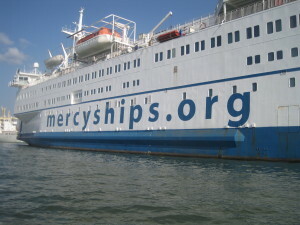 At the end of 2013, Mercy Ships introduced their new hospital ship concept. The company made an agreement with European and Asian shipbuilders for a new hospital vessel with gross tonnage of 36,600. The hospital ship will be for Mercy Ships and will be built at Tianjin Xingang Shipyard, owned by CSIC (China Shipbuilding Industry Corporation). The design of the vessel will be done by Deltamarin and will be 174 m long. The planned delivery date of the largest hospital ship concept is July 2017. The vessel will be registered in Malta and will be Lloyd’s Register classed. ''Our investment in these new ships – the first of their kind in the world – is significant on so many fronts. We named them the Commitment Class of ships because they represent our commitment to our customers,”Tom Crowley (chairman and CEO of Crowley). 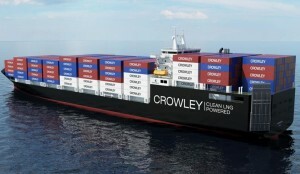 In November 2013, Crowley Holdings Inc brought out that they had signed a new contract of building the first two LNG-powered ConRo ships. The contract for the new ship concept was signed with VT Halter Marine Inc. (Pascagoula, Miss.). The new Commitment class ships will be able to sail up to 22 knots, will carry different container sizes (in the range 22-53 ft long) and hundreds of different vehicles. They will have special car decking that will be weather-tight. The LNG power (non-toxic and non-corrosive stable gas) is the cleanest type of fossil fuel. It reduces the SOx (sulphur oxide) by 100%, the NOx (nitrogen oxide) by 92% and CO2 by significant per cent. This ship project sets new standards for shipping that is environment-friendly. They will be named Taíno and El Coquí. The delivery of the LNG-Powered CON-RO Ship concept vessels is scheduled for 2017 (quarter two and four). The bold Titanic II ship concept of Clive Palmer daters from April 2012. The ambitious idea of the Australian billionaire reached a very important step forward. After the contracts with Deltamarin Ltd (design responsible) and Tillberg Design (interior responsible) the ship model was tested. The test was done in HSVA, Germany (Hamburg Ship Model Basin) in September (9-12). The model of Titanic II ship project is wooden with length of 9.3 m. It went under several tests – power, propulsion, resistance and open water with max speed of 23 knots. The new Titanic will be constructed in China. The delivery is planned for 2016. 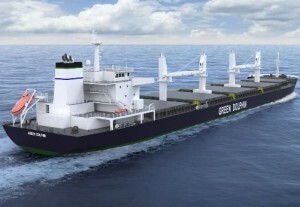 The new handymax bulk carrier concept was introduced by DNV GL and SDARI (Shanghai Merchant Ship Design & Research Institute). The new vessel will follow the design of Green Dolphin 38. The new Green Dolphin ship concept aims to meet the regulations for green environment with efficiency of energy, Green Dolphin 575 will be flexible, reliable and robust. The ship concept is with 190 m length, 5 cargo holds and available in two configurations – single or double hull. The hull design aims optimal efficiency of the fuel without any compromising on flexibility and strength. The new ship concept will comply the emission regulations, local and global. The year 2013 is remarkable for the cruise industry with the keel-laying of the next largest cruise ship. Royal Caribbean introduced their new Quantum class ship concept in 2011. The first vessel of the class, Quantum of the Seas, is scheduled for delivery in November 2014.